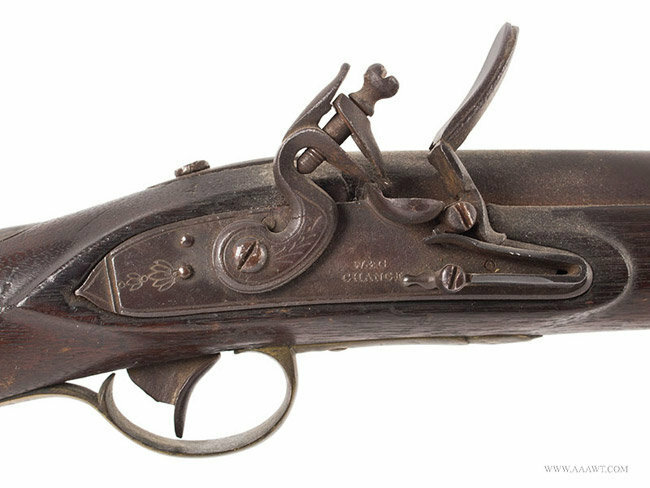 This original flintlock is signed W&G Chance. Silver thumbpiece, brass nosecap, rammer pipes and triggerguad with long tang. Lock is tight, smooth and functional. 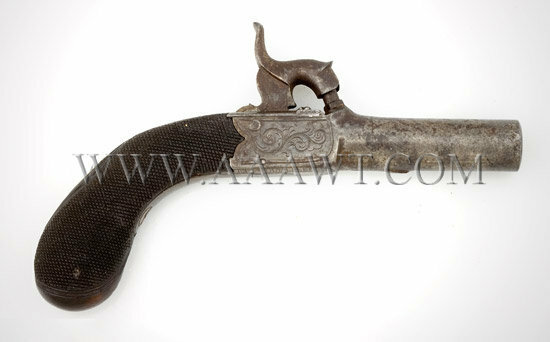 The 42” barrel is dated 1829 with an eagle over “P” proof. Barrel is plum brown with uniform and minor pitting. 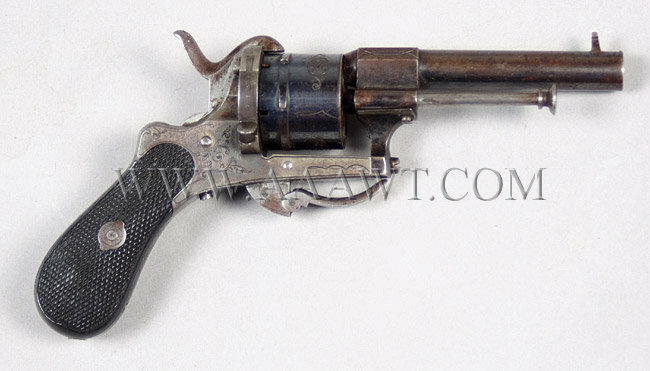 This lightly engraved revolver has a 7 mm, 3.5" barrel and checkered ebony grips. About 25% of the original blue remains, almost all of which is on the cylinder. 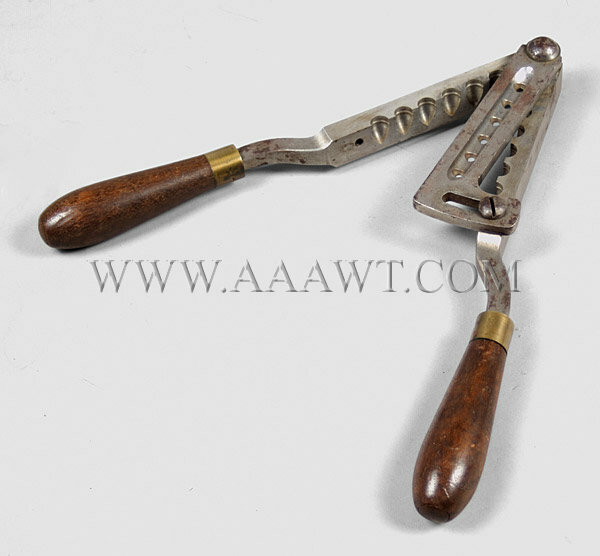 Overall length: 7.375". 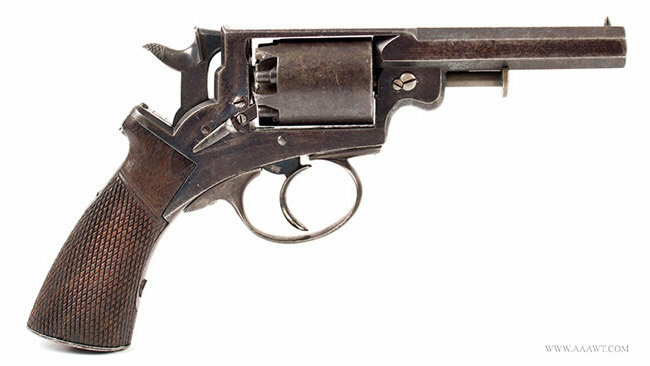 These molds were supplied at the rate of one mold for every 50 revolvers. The right block is stamped "44 H" on the side, and both handles show an "H" stamp. The right brass ferrule is stamped "80", and there is a small "D" stamped underneath the left handle. No finish remains on the metal, just scattered brown spotting. This piece is serial number 2V, and is a variation with the firing pin pinned to the frame (left & right). 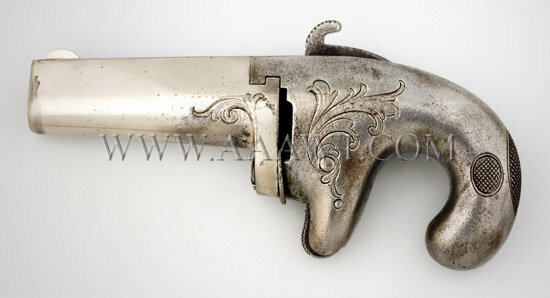 No traces remain of silver on the frame or blue on the barrel. Dimensions: 5.5" overall length, 2.75" barrel length. Dated on lock 1839 with one cartouche highly visible, the other is very faint. Replaced screw in frizzen spring. The gun is used but reasonably well cared for. 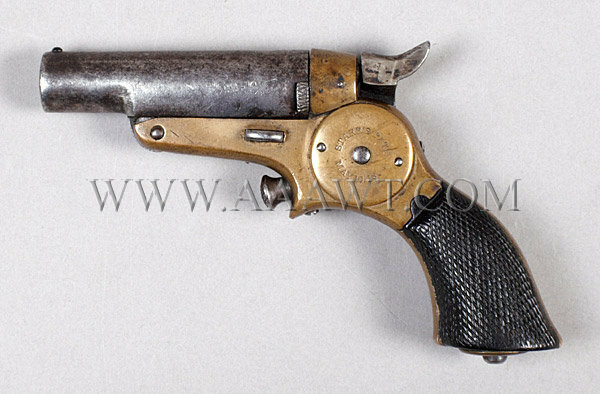 British proofed single shot pocket percussion pistol with screw barrel. No maker's name appears, but there are Birmingham proof marks under the barrel. 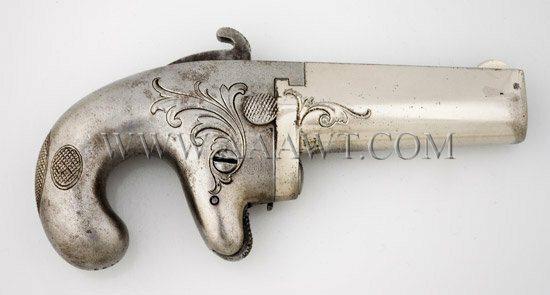 The gun also shows a folding trigger and a nicely checkered bag-shaped grip, which has a silver initial plate inlet. There is light scroll engraving on the iron frame. Strong traces of blue case coloring and barrel striping remain with no metal disturbance. The barrel is very tight and has not been unscrewed recently. 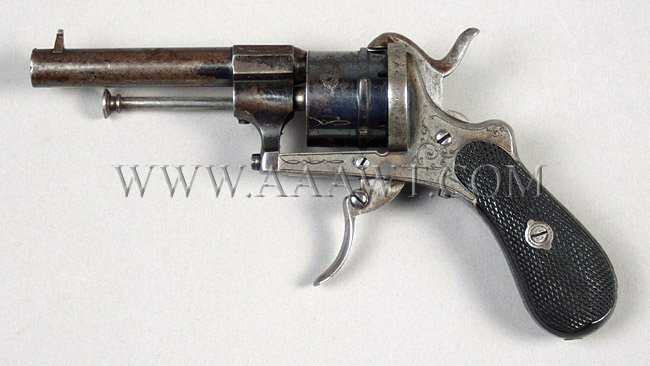 The gun measures 4 ¾" overall. Dimensions: 4.75" overall length, 2.25" barrel length. 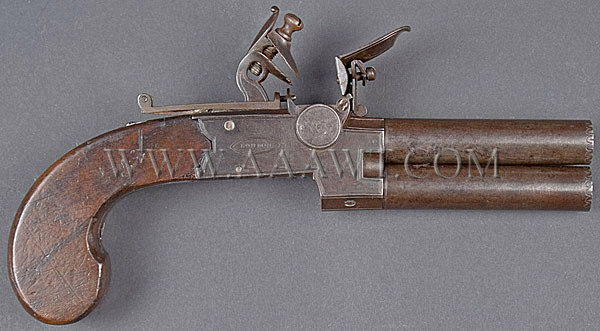 This Richards, LONDON Over/Under tap action flintlock pistol is .45 caliber with 2 7/8" barrels. 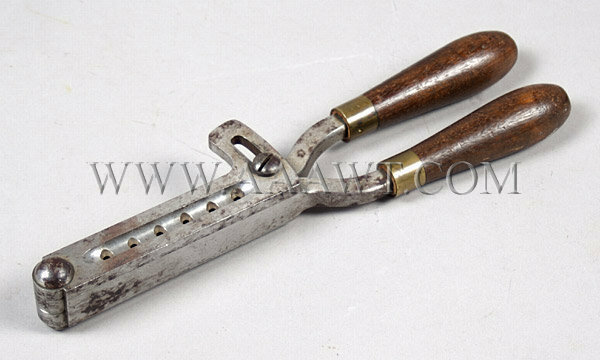 This high quality example is all iron except wood slab-sided grips. 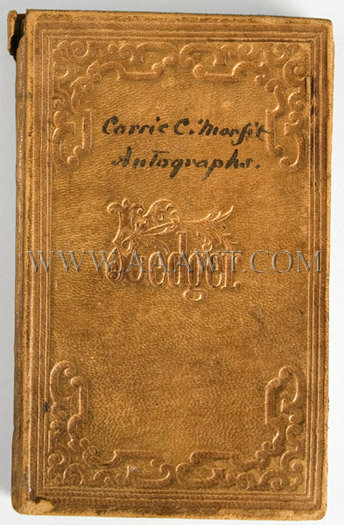 There is no engraving except an elegant double border outlining all flats. 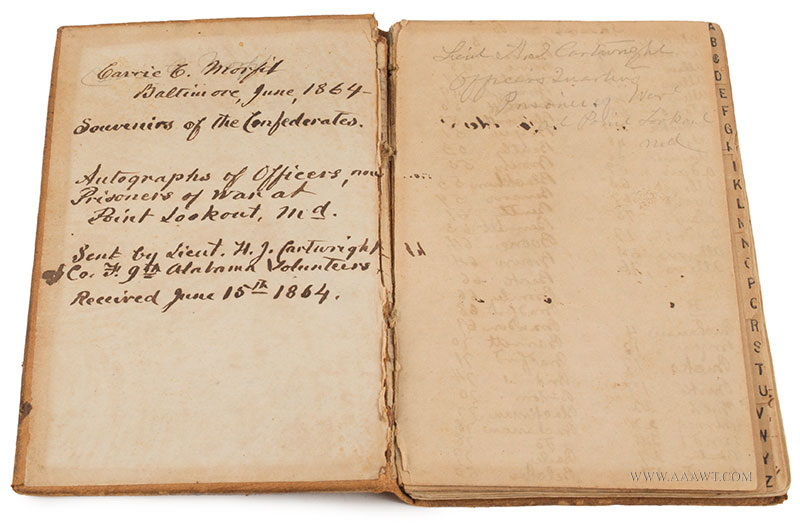 "J" is probably John Richards 1760-1821. "W" could be a William Richards. 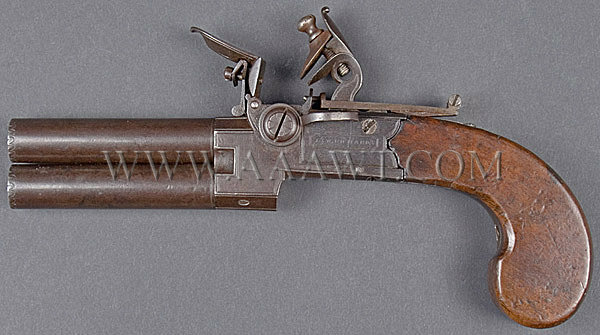 An outstanding example of a Commonwealth of Massachusetts Militia Musket. 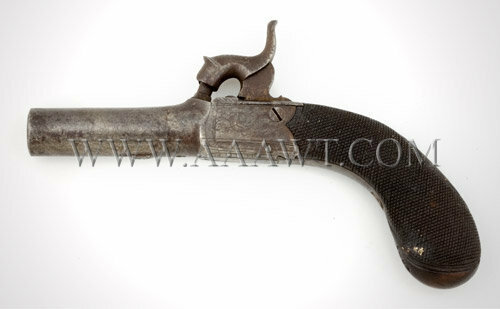 As depicted, full stock with 3-thimbles; iron rod is threaded for attachments; bayonet lug under the .69 caliber, 39.25" round barrel which is mostly plumb-brown fading to smoky gray. 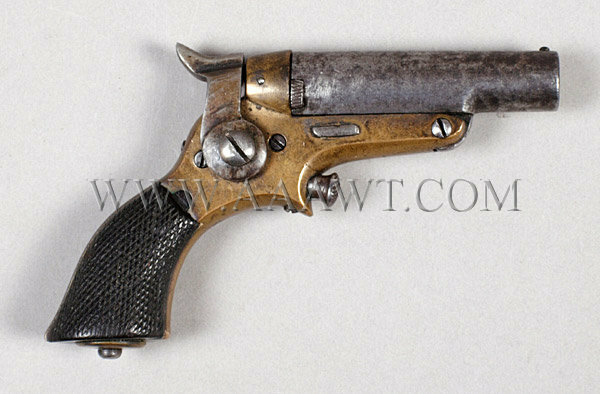 Retaining original London flintlock, iron trigger and trigger plate; all brass furniture/ original wood has great color and patina. N. French stamped on brass side plate. Proof marks on the barrel "PM 1836 T.F." 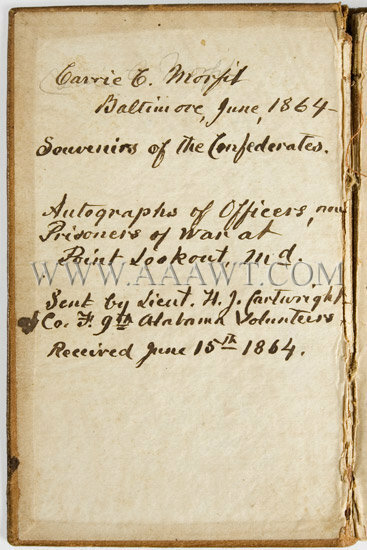 (Thomas French, Canton, 1836, Proof Massachusetts). Strong clear markings in all places.